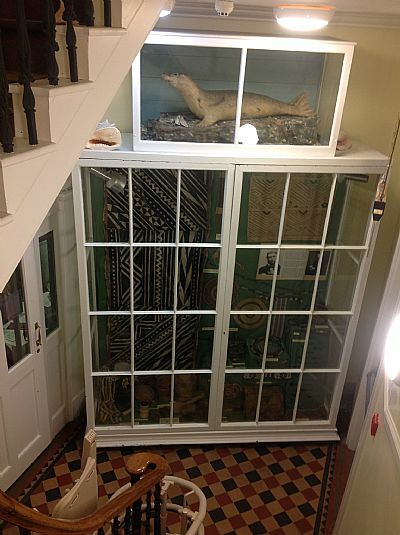 Stromness Museum is an independent museum maintained and managed by a committee of volunteers elected from the members of the Orkney Natural History Society Museum SCIO. Stromness has always been a place of great scholarly research and study. In 1812 a Subscription Library was founded in a room now forming part of a private house in Victoria Street. 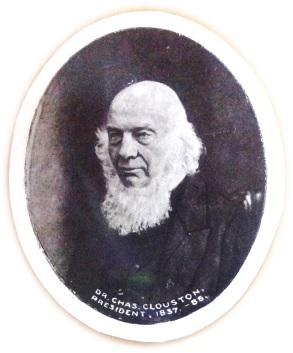 Amongst the earliest subscribers was Dr Charles Clouston, Minister of Sandwick. He had succeeded his father William in this role, whose accounts in the First Statistical Account of Scotland for the parish of Sandwick were amongst the best in the country. Clouston’s educational background included divinity, botany, meteorology and medicine, and his studies of Orkney’s weather patterns were published in the first Encyclopaedia Britannica. He reprised his father’s work in the Second Statistical Account of Scotland. He lived in a time of great interest in the natural world, the Scottish Enlightenment. Many society museums were formed at this time but only a handful remain to this day, amongst them the one formed by the Orkney Natural History Society, founded in Stromness in December 1837. 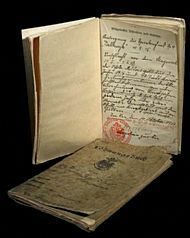 The Society produced many books and papers, and you can find some examples within the ONHS Papers page of this site. 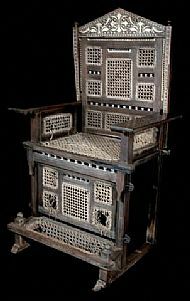 For its first seventeen years of existence it lived in “Mrs Flett’s large room” in a property next door to the Subscription Library in Victoria Street. Clouston remained in charge until his death in 1884. The original purpose of the Society was “the promoting of Natural Science by the support of a museum by any other means in its power […] with specimens in Natural History and Antiquities from any other quarter”. One of its earliest supporters was the celebrated poet, journalist, geologist and stonemason Hugh Miller (also, click here for Friends of Hugh Miller website). 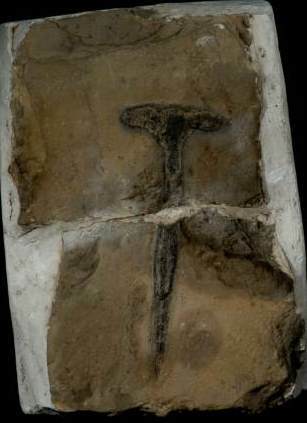 In his 1858 “The Cruise of the Betsey” he described a fossil hunt on the west shore of Stromness: ‘I found […] a well-marked bone, perhaps the oldest vertebrate remains yet discovered in Orkney’. Miller’s book "Asterolepis of Stromness" became a formative influence on Darwin’s The Origin of Species, and the fossil remains a star exhibit today. When asked to vacate “Mrs Flett’s large room” in 1854, the Society leased a room in Flett’s Commercial Hotel, but within the year were forced to look yet again for new premises. A mutual agreement between the Burgh Council and the Orkney Natural History Society allowed them to share a new building, housing both Museum and Town Hall. 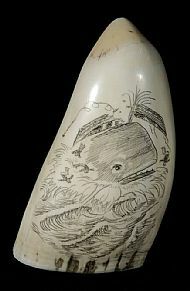 It was purchased on 15 May 1856 for £40. Originally the Town Hall occupied the ground floor, and housed an elegantly railed platform for speakers and entertainers. The Museum had its own entrance, and occupied the two spacious galleries on the first floor. The Museum was officially re-opened on 29 December 1862 in the premises it still occupies today. The great entrepreneur Andrew Carnegie was very influential in Orkney, not only providing money for a new library premises for Kirkwall, but also providing the Society with grants to allow them to buy four large show cases for the ground floor, and a further five upstairs. 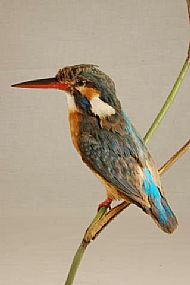 Today, the museum gives a vivid introduction to the Sea Haven of Stromness and the Maritime and Natural History of Orkney – fishing, whaling, Hudson’s Bay Company, the German Fleet in Scapa Flow, birds and their eggs, fossils, sea shells, butterflies and moths. You can find information on our current Board members here. On 20th May 2014 the trust changed its status and became a SCIO (Scottish Charitable Incorporated Organisation). 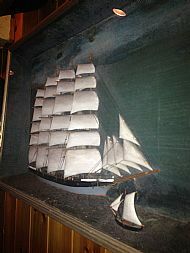 We have a wide and varied range of artefacts, and are always happy to discuss our exhibits with members of the public. However, because we are an organisation mainly run by volunteers we may not have the required personnel on the premises to allow you to take a closer look at any of our exhibits. If you would like to closely examine anything in our collection please contact us to make an appointment, and our Curator will be happy to arrange a suitable time. Stromness is a fascinating town to visit and it's really quite easy to find most things as they all follow the ribbon of the main road. It's quite unique in that its very narrow street is open to two-way traffic, but don't take too big a vehicle down or you will definitely get stuck. The street isn't coach-friendly! 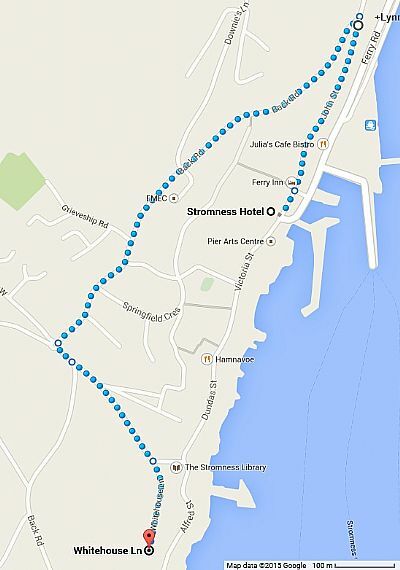 Turn left at the Pierhead (with the Stromness Hotel directly in front of you) walk south for 0.4 miles (650 metres) or approximately 10 minutes. This will take much longer if you look in the many shops and galleries tempting you along the street. Follow exactly the same route as by foot! Parking is limited, however, so arriving by foot is advisable. Drive up the main street, OR from the pierhead (with Stromness Hotel in directly in front of you), turn right on to John Street. Take the first road on your left to Back Road. Drive for just under 1 mile, then take the first left at the mini-roundabout on to Hellihole Road. Just over half way down you will see Whitehouse Lane on the right. Drive to the end of Whitehouse Lane and then park and take one of the three short lanes that lead down to the sea and the street. 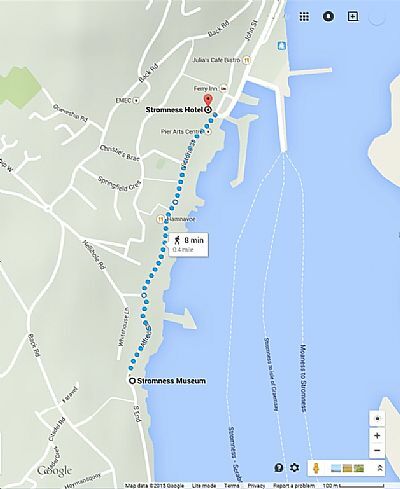 The Back Road access is also good if you come into Stromness from the West Mainland or further afield. You can get directions via Google for this alternative route from here ►. Alternatively, follow the Back Road to the Golf Course, turn left so you have the sea on your left, and drive north a few hundred yards/metres until you reach reach museum. There is limited disabled visitor access, due to the age of the building and not all galleries are access-friendly. The entrance and ground floor are level, there is a slight incline to the upper gallery of the ground floor. We have a stair lift (shown, left) to the Natural History, but there is no such access to our other galleries. To access the Captain's Parlour and the Summer exhibition speak with the custodian on duty who can arrange your access from the pier. There is a disabled-access toilet at street level. Wheelchair access, hand rails and baby changing facilities are all available. 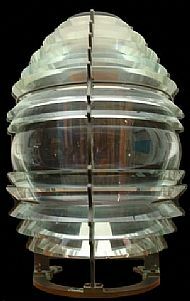 "this museum is a treasure trove of information – demands a much longer visit and offers an opportunity for serious research"
"I always found something of interest in the Museum, even though I have visited on a number of occasions"
"'wow' learned 'a lot' about the voyagers who came from Orkney!" 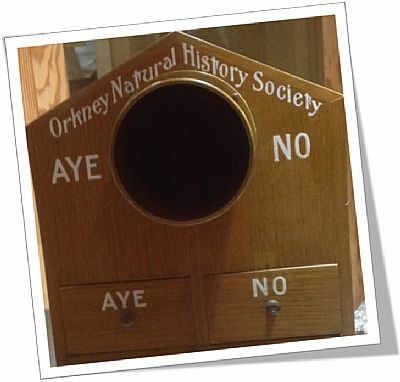 We have retained the Victorian feel of the original Orkney Natural History Society, but with a more modern twist. If you want a high-octane interactive experience then you'll need to go elsewhere. However, if you want to delight at the variety and diversity of our collection then we welcome you. Download our Gallery Guide from here to help you navigate our collection.